We are coming up on Christmas and all of the baking has begun! I’ve made mounds of cookies, cakes and today these cherry cheesecake brownies. These bars are so easy to make, I’m talking Betty Crocker y’all. 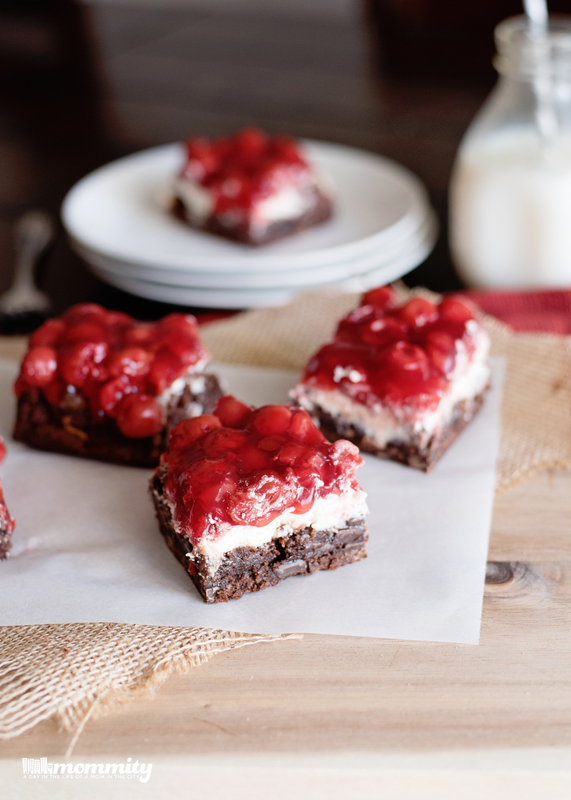 What’s great about these cherry cheesecake brownies is the versatility, they would be perfect for Christmas, Valentine’s Day, a special date night or even a bad breakup! I used an 8×8 pan for this recipe, but you can definitely use another size pan. If you go bigger, the cheesecake recipe might need to be increased as it spreads pretty thin in this pan. The cooking time will be based off of the cooking times on your brownie box. The inside of my pan was sprayed with a baking spray that had flour in it. 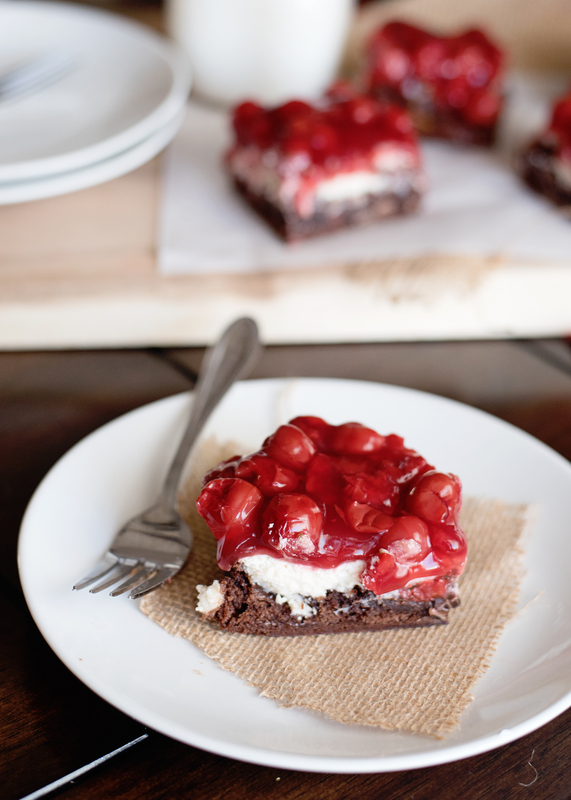 I also lined my pan with parchment paper, making the cherry cheesecake brownies easy to lift out for a pretty display. This is a really decadent dessert and my bars were cut pretty big. Go big or go home, right? You could easily cut these bars down smaller for more servings if you need to. 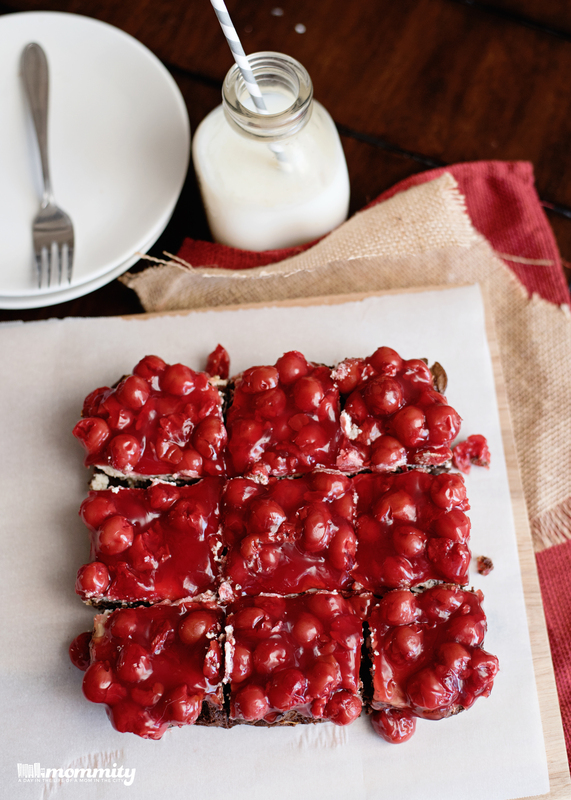 Be sure to save this recipe to Pinterest! 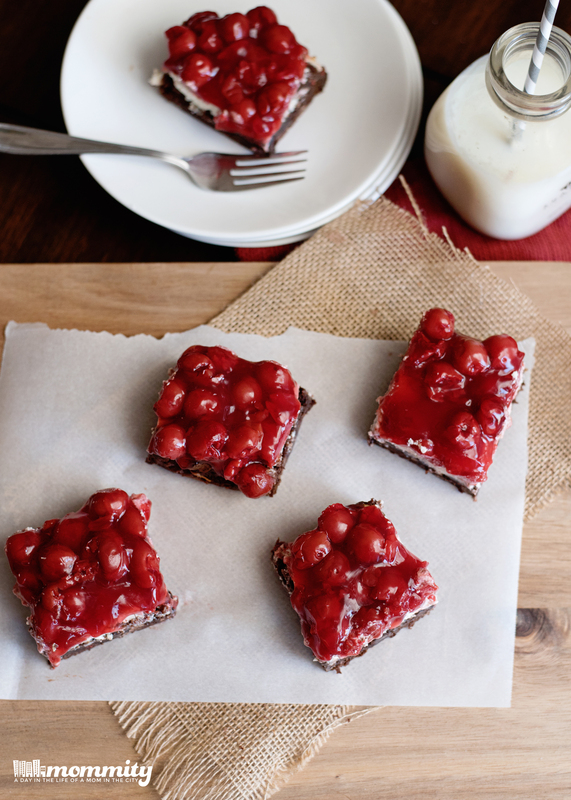 It’s really simple to make, tastes like you took hours and a crowd pleaser to all who love chocolate, cheesecake and cherries. Prepare your 8x8 or other pan with a nonstick baking spray. Line with parchment paper for easy removal and spray the parchment paper as well. In a large bowl, prepare the brownie mix according to the box directions. Pour into the bottom of your prepared pan. In another bowl, combine the cheesecake ingredients : cream cheese, egg, sugar and vanilla. Mix well, until nice and creamy. Take spoonfuls of the cheesecake mixture and plop them all over the top of your brownie mixture. 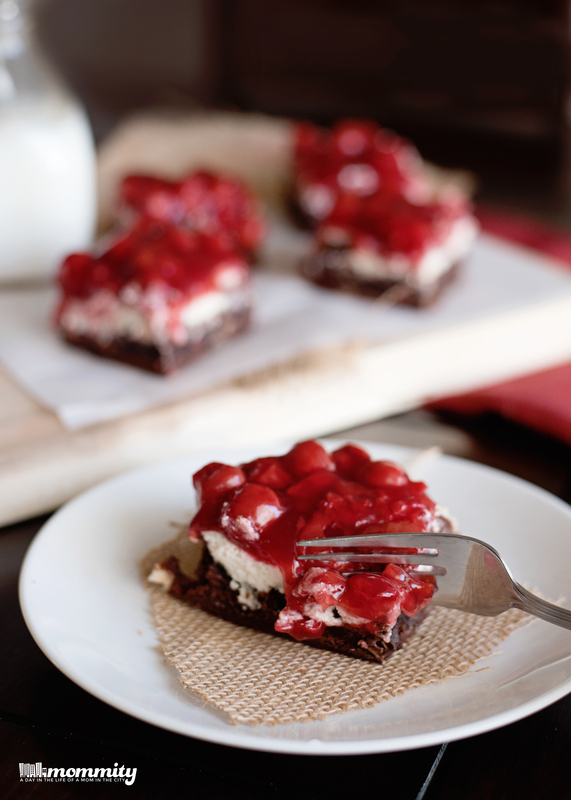 Then take a spatula and carefully spread the cheesecake out in a layer on top of your brownies. Or, if you want to make a swirl design, just take a knife and swirl through the cheesecake layer. Bake for about 33-37 minutes, or longer, according to the timing on your brownie box. Remove from oven and cool completely. Top with the cherry pie filling and place into the fridge for a few hours, or overnight. Slice and enjoy! The bars will remain fresh for a few days in the fridge, if they last that long.